Microlab offers market leading product lines of low PIM components and specific band options suited for public safety, commercial wireless and DAS applications in the AMER (Americas) and EMEA (Europe, Middle East, Africa) markets. As operators all over the world strive to extend their coverage and capacity--both in-door and outdoor--Microlab components are becoming an essential measure for system integrators and designers. These products maintain system performance due to their demonstrated reliability and low passive intermodulation (PIM) characteristics, which are verified to help preserve overall channel functionality and data throughput. Microlab Product offerings include: neutral host DAS and co-siting combiner solutions, hybrid couplers and hybrid matrices, attenuators, RF terminations, RF power splitters and diplexers, as well as the DCC Series® DAS Carrier Conditioners for in-building DAS deployments. Microlab has a proven track record of supporting the telecommunications industry in the EMEA marketplace with local operations and several distribution partnerships. Click here to find a sales office. 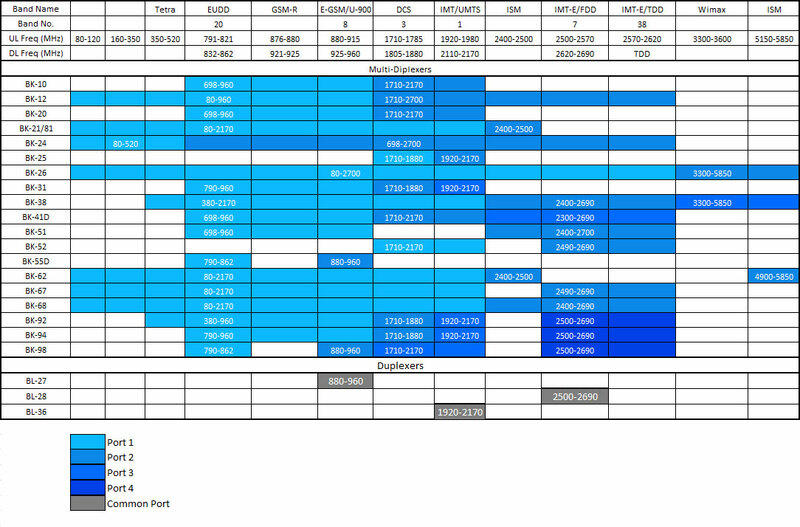 See the chart below for a list of Low PIM passive components types and their supported frequency bands for the EMEA region. Click Here to download a detailed Matrix of Microlab's Duplexers and Multi-Diplexers for EMEA Markets.